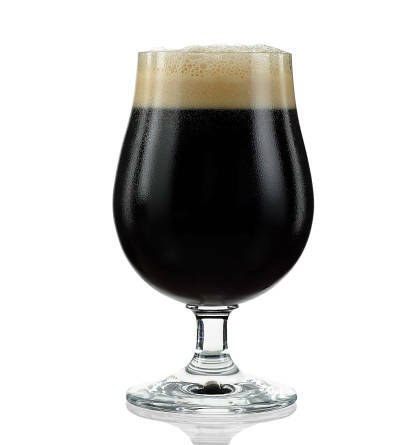 Beers get dark and toasty when the cold sets in, cueing our taste buds to feel at home among flavors like chocolate, molasses, dried fruit, and nuts. “We tend to lean on heavier beers with higher alcohol content,” says Mick Hahn, brewmaster at Turtle Mountain Brewery, in Rio Rancho. “Winter seasonals are meant to warm you from the inside,” advice that coalesces in his own lineup of wintertime drinks. An award-winning brewer (his “Wooden Teeth” recently took home a gold medal at the Great American Beer Festival), Hahn will fill our glasses with Deep Depravity, a barley wine that takes holiday vice down just a couple more notches. Rich in caramel and dried fruit, with a higher sugar content (for a punch in ABV at 11 percent), Hahn guarantees this: “People want a glass of depravity.” It may be hard to imagine that depravity pairs well with anything, but indeed this version does. “Eat it with a holiday pecan pie or a good roast,” he advises. Sometimes the name of the beer precedes the actual beer (McCauley Kolschin, for instance), but the drink always lives up to its handle. Take Darker Than Darkness (4.8 percent ABV), a Schwarzbier named after a regular at the brewery, a guy called “Darkness.” Hahn says it’s just plain perfect with a chocolate chip cookie. Grab a growler with a winter seasonal and warm yourself by the fireplace. Amber-colored with a dense head and aromas of traditional spices and a touch of molasses. Rich pale malt, double dry-hopped with citrus and fruit character. Rich chocolate and raisin nose with a bittersweet cocoa finish.